1. What will be the position of Piston Ring? In 180 degree angle the Top ring, Second ring and Oil ring are fixed. Position the ring approximately 1 inch gap below the neck. 2. What is D4D Technology used in Toyota Vigo? D-4D is widely recognized as one of the most advanced diesel technologies on the market today. Diesel engines relied on relatively simple technology with a low-pressure mechanical injector delivering fuel to a pre-combustion chamber in the cylinder head where a single ignition – fired by the intense heat of high compression – takes place. 3. What is DTSi Technology? DTSI stands for Digital Twin Spark Plug Ignition. The vehicles with DTSI Technology use 2 spark plugs which are controlled by digital circuit. It results in efficient combustion of air fuel mixture. Digital – Since the spark generation will be initiated by a microchip. Twin – Since two spark plugs will be used. 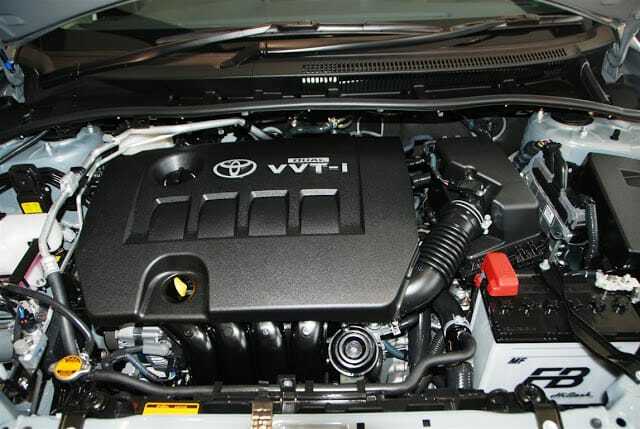 4.What VVTi written on new cars of Toyota stands for? VVTi : Variable Valve Timing with Intelligence. It is the advanced version of the VVT engine. It changes the cam shaft position by using oil pressure. It is similar to CVVT in Hyundai. 5. What is PGM FI technology used in Honda Stunner Bike? Honda has a goal to reduce the total emissions of HC (hydro-carbon) from new vehicles to approximately 1/3 and to further improve the average fuel economy by approximately 30 (both from 1995) by the year 2005. To realize the goal we at Asaka R AND D Center considered that the small motorcycles used in many countries in the world should be improved further for clean exhaust gas and low fuel consumption. Accordingly we have started development of the PGM-FI system for small motorcycles with engines of 125cc or smaller including air-cooled engines. To ensure clean exhaust gas and high fuel economy the control of combustion through an accurate fuel supply is a must. As the conventional FI system (electronic fuel injection system) applied to motorcycles is bulky and costly its application has been mostly in large motorcycles using multi-cylinder engines. In the newly developed PGM-FI in order to apply to small displacement models the obstacles have been eliminated by fully using Honda’s techniques to down-size components as well as making maximum use of the FI techniques attained from the large motorcycles. The compact PGM-FI offers new benefits such as the reduction of released environmentally detrimental substances and the improvement of drivability economy etc. 6. What is ATFT Technology used in Honda Hunk? Tumble flow means swirling. In this technology fuel air mixture from the carburator into the engine cylinder with a swirl action. The advantage being one gets a more efficient burning of fuel hence more power and better fuel economy with lesser emissions. 7. The Compression ratio of Petrol engine is always less than Compression Ratio of Diesel engine why? Petrol is not self igniting , it needs spark to flame up in chamber. Where as diesel is self igniting in diesel engine , to attain that state it requires high temp and pressure. This temperature and pressure is more than what’s required in Petrol Engines by property of that fluid . 8. What are the causes of main engine black smoke? There is many cause of black smoke. 1.is improper mixture of fuel supply by carburetor like very rich mixture so the fuel improper burn. 2. it is when piston or piston ring is fail so back side cooling oil release in combustion chamber it cause black smoke. 3.improper ignition system like not sufficient time of pressure rise delay period . 9. Explain the basic difference between BS2 and BS3 engine. The basic difference of BS2 and BS3 engines is the presence of catalytic convertor. Catalytic convertor is present in BS3 engine which helps in reducing the formation of HC and CO. While in BS2 engine, no catalytic convertor is present which forms HC and CO. Thus in BS3 engine there is no emission of harmful CO and HC. The full form of BS is bharat stage, which is a standard of emission in India. 10. What is clutch drag? When the clutch is not disengaging fully and provides some difficulty in changing the gears then this defect is called clutch drag. 11.What are BS3 and BS4 Engines? As per ARAI, the exhaust emissions for BS-III two-wheelers direct that the petrol-powered engine should have carbon monoxide (CO) restricted to 1.00 g/km and Hydrocarbon + Nitrous oxide (HC + NOx) emission level should also not be more than 1.00 g/km. For a vehicle to be BS-IV compliant its must have an emission not more than 0.75 g/km of CO and HC+Nox respectively. This means the engines have to be new in order to emitless pollutants out helping in reduction of overall pollution from the exhaust. 12.What is octane number and cetane number? Octane number can be defined as the percentage, by volume, of iso-octane in the mixture of iso-octane and h-heptane. It is the measure of rating of SI engine. While cetane number can be defined as the percentage,by volume, of n-cetane in the mixture of n-cetane and alpha methyl naphthalene. It is the measure of rating of CI engine.